This is a hall that has rentals for all Occasions. Trade Shows,Weddings,Birthdays, Etc. Where the Knights of Columbus Meet. 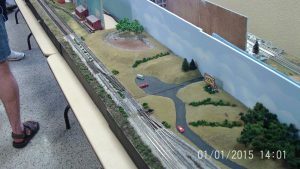 This is a Model Railroad Club Located in New Port Richey. See him at some of our shows. This site shows all the shows Regal Railways promotes.